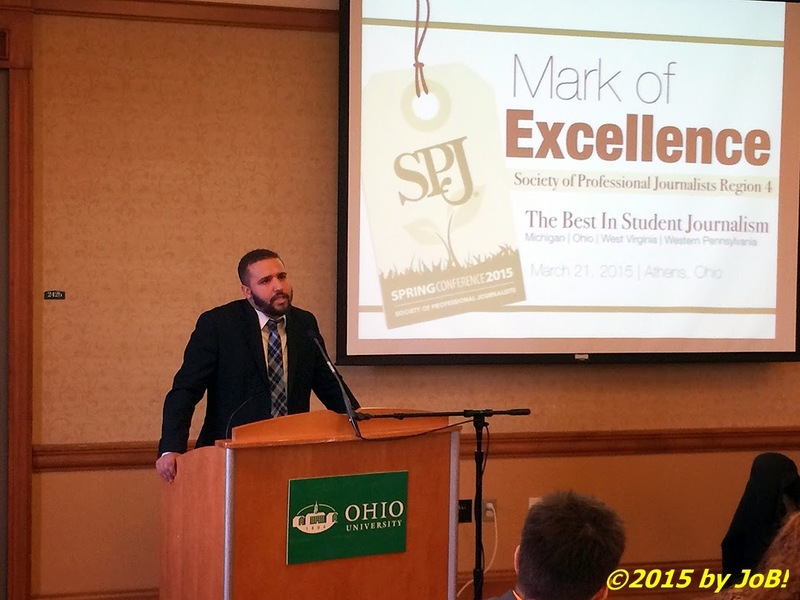 Athens' Ohio University played host for the 2015 SPJ Region 4 Spring Conference. 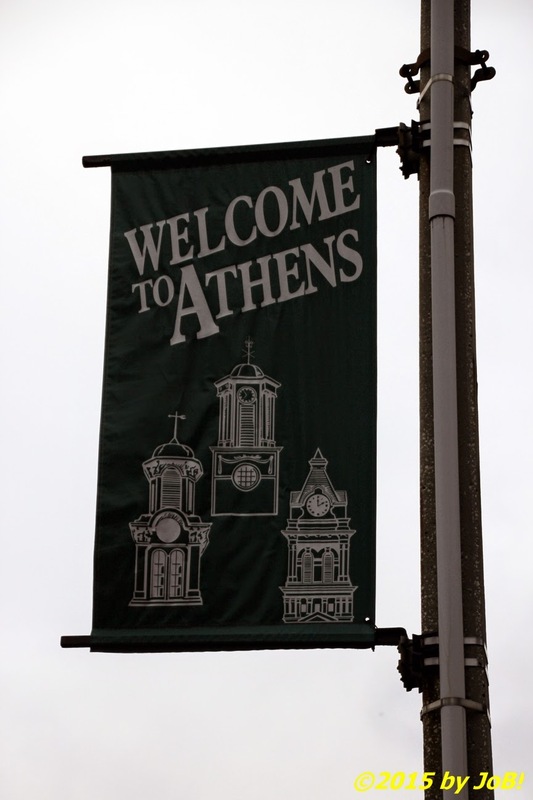 The Ohio University chapter of the Society of Professional Journalists hosted members from all across the organization's Region 4 area (Michigan, Ohio, Western Pennsylvania and West Virginia) for its 2015 annual professional development Spring Conference on March 20-21 in Athens, Ohio. Over 150 journalists, educators and other associated personnel came for the unique networking and mentoring opportunities with other attendees as well as the staff of the institution's nationally recognized E.W. Scripps School of Journalism. 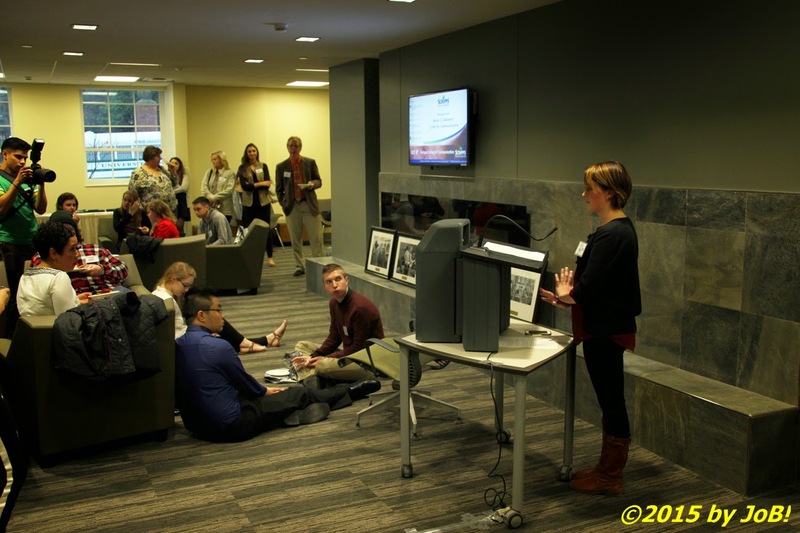 An opening reception was held Friday evening in the lobby of the still-under-construction Schoonover Center, the new home of the Scripps College of Communication, a $34 million integrated communications facility for the university. On Saturday, following breakfast and a regional SPJ meeting, workshops delving into a variety of journalism- and media-related topics were conducted in the John Calhoun Baker University Center's conference room facilities. The annual Mark of Excellence luncheon was also held to honor the region's best collegiate work within Region 4 for print, broadcast and online journalism outlets. The Washington Post's Wesley Lowery, a Scripps school alumnus and winner of the 2014 Pulitzer Prize for Breaking News as part of the Boston Globe's team covering the bombing at that city's 2013 marathon, was the keynote speaker for the event. A silent auction was held over the two days of various journalism and other related items that helped raise over $300 for the national organization's Legal Defense Fund. There were no immediate plans announced concerning the dates or location for next year's event. 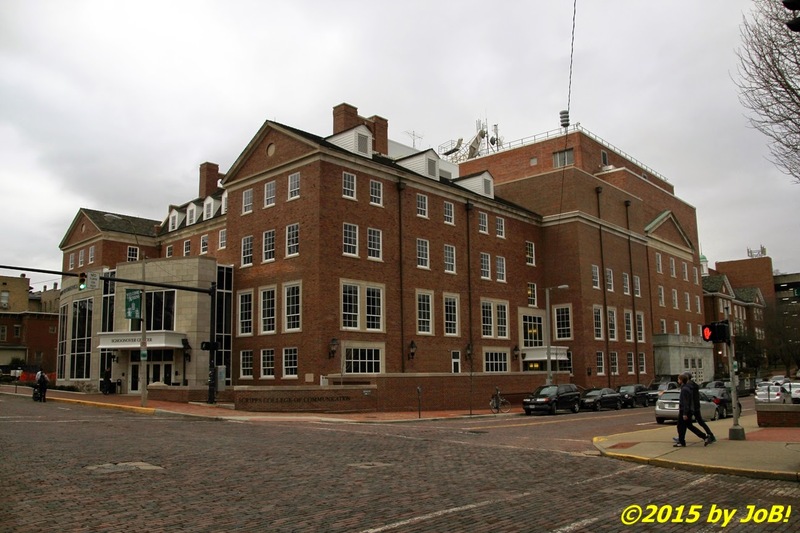 The still-under-construction Schoonover Center at Ohio University's Scripps College of Communication served as the host for the Friday night welcome reception activities of the 2015 SPJ Region 4 Spring Conference in Athens, Ohio. Kate Hiller, president of the Ohio University SPJ chapter, greets attendees at the welcome reception for the 2015 SPJ Region 4 Spring Conference in Athens, Ohio. 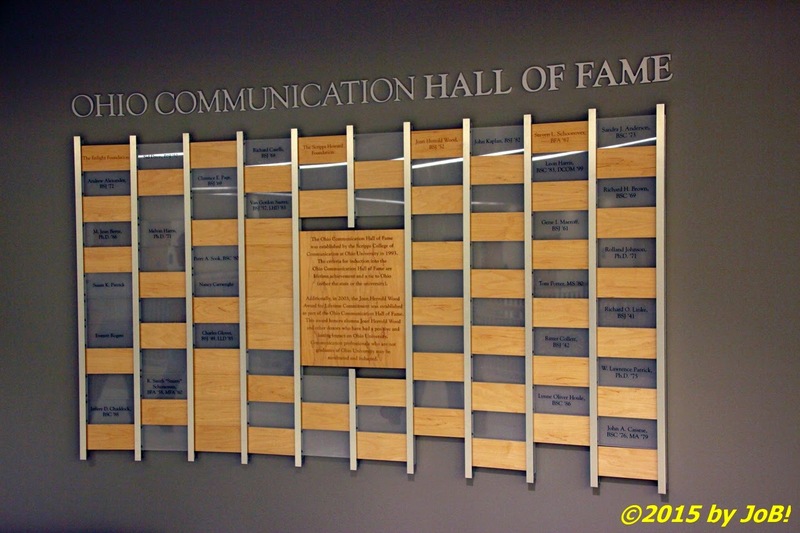 The Scripps College of Communication's Ohio Communication Hall of Fame is prominently displayed on the first floor of the new facility on the campus of Ohio University in Athens, Ohio. 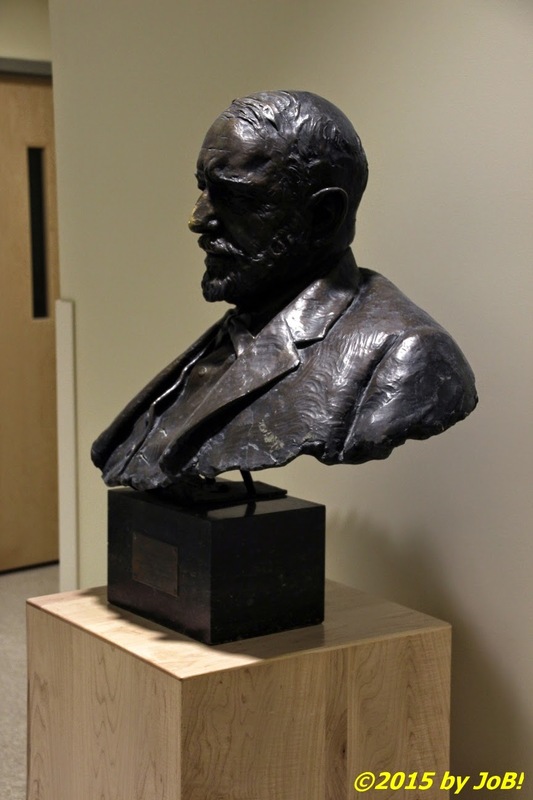 A bust of noted newspaper publisher and news service creater E.W. Scripps sits outside the journalism school named after him on the second floor of the Scripps College of Communication. 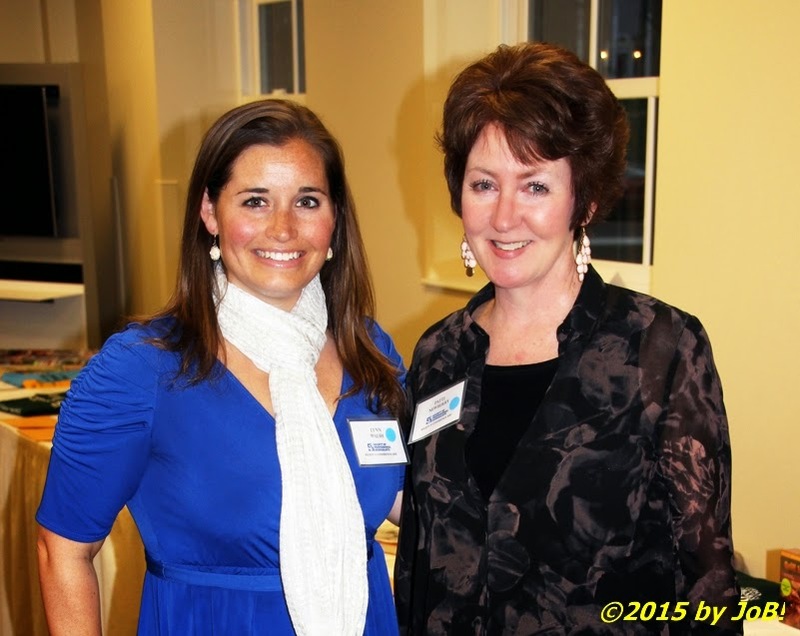 SPJ Region 4 director Patti Newberry, right, welcomed National Secretary-Treasurer Lynn Walsh to the 2015 Spring Conference welcome reception at the Scripps College of Communication's Schoonover Center on March 20. Ohio University alumnus Wesley Lowery, a 2014 Pulitzer Prize winning journalist for his role in breaking news coverage of the 2013 Boston Marathon bombing, served as the keynote speaker for the Mark of Excellence luncheon at the 2015 SPJ Region 4 Spring Conference in Athens, Ohio. 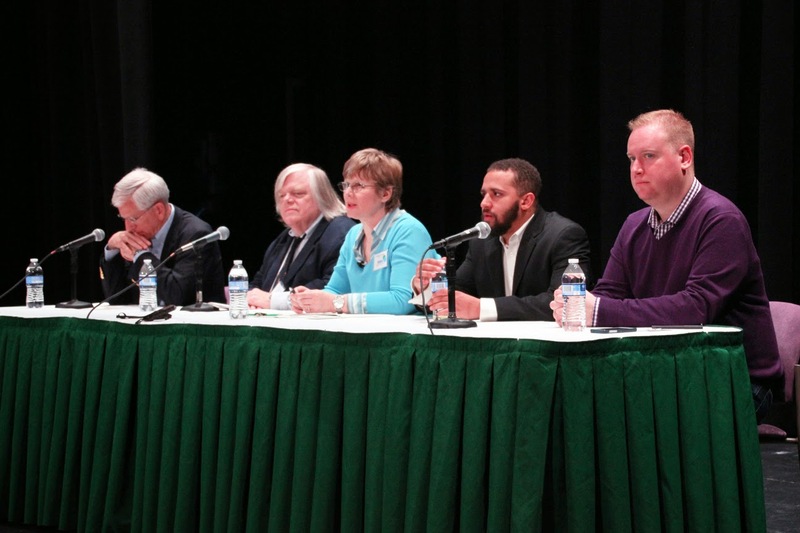 A "super session" on the subject of the 2016 presidential election was held as the closing event of the 2015 Region 4 Spring Conference at Ohio University in Athens, Ohio. The panel, from left to right, consisted of WCPO-TV news reporter Tom McKee, syndicated columnist Thomas Suddes, E.W. Scripps School of Journalism instructor Nerissa Young, Washington Post reporter Wesley Lowery and Associated Press national politics writer Phillip Elliott.